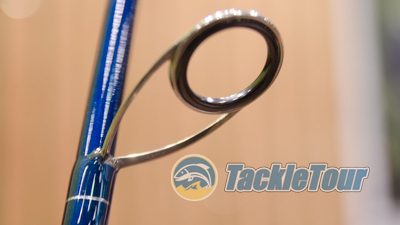 Introduction: St. Croix has always been a company that leaned on quality control and tradition versus flash and dash. At the same time, in recent years, they've not shied away from presenting a rod series or two with more aggressive styling cues. The difference is, when they decide t venture in this realm, it's usually with a slightly different identity for an existing rod series. The "X" projects within St. Croix are where the company has decided to express their inner rebel. This can be seen in Bass X, Avid X, and now, new for this coming year Legend X. "X-Project" defines a new Legend, the Legend X. Featuring split rear grip handles. Legend X: St. Croix's new freshwater bass series, Legend X takes what they've been doing with their standard Legend Elite line and spices things up a bit with a more eye catching finish and split rear grip handle designs. 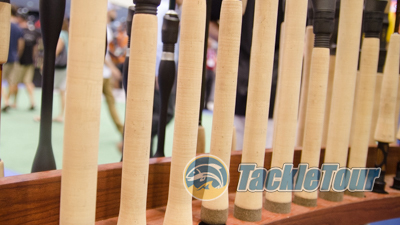 The company uses all their latest technologies aimed at increasing blank strength under load (IPC, ART, FRS) as well as improve casting accuracy and overall sensitivity (TET) to deliver the best performing rod they can. 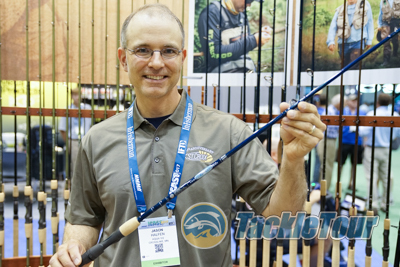 There will be a total of 16 models (11 casting, 5 spinning) each featuring the latest Fuji reel seats (TVS for spinning, PTS for casting) and full on Fuji tangle free, titanium framed, Torzite guides. Fuji PTS casting reel seats and TVS spinning seats. From we understand, these rods will be an extension of the Legend line and not a replacement for the existing Elite or Xtreme series. Retail on these rods will be between $390 - $420 depending on the exact model. 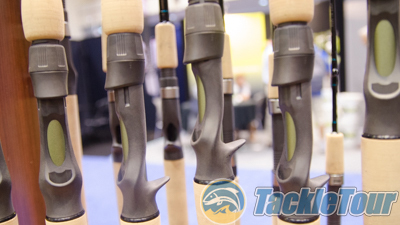 The casting versions consist of models from 6'-8" on up to 8'-8" while the spinning rod lengths range from 6'8" to 7'. They will be backed by St. Croix's 15 year transferable warranty. Fuji titanium framed Torzite guides. 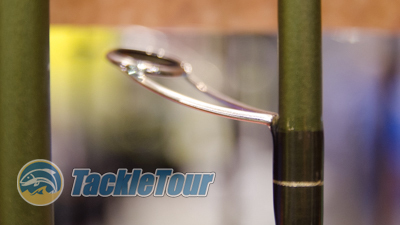 Legend Tournament Inshore: Taking away Best Saltwater Rod honors at ICAST 2017 was St. Croix's Legend Tournament Inshore rods made from the company's SCIV graphite and built with full Kigan Master Hand Zero Tangle guides with slim, strong aluminum oxide rings and titanium frames. 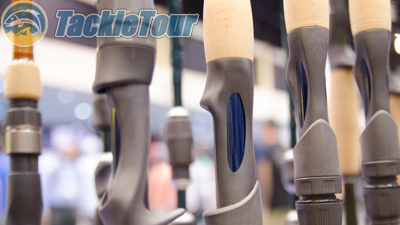 There will be 10 models in all (7 casting, 3 spinning) each featuring full cork handles. 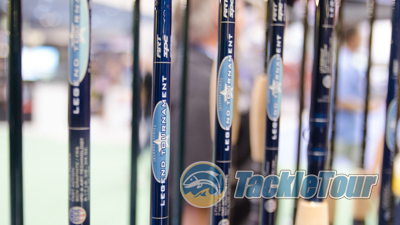 Their new Legend Tournament Inshore rods. 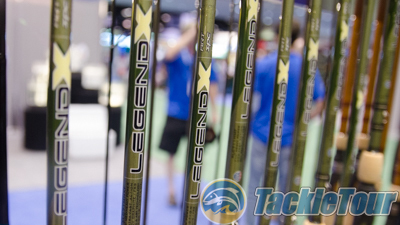 Legend Tournament Inshore sticks will retail for between $280 to $340 depending on the model and every rod is backed by the company's full, 15 year transferable warranty. And Kigan, titanium framed guides with aluminum oxide inserts. 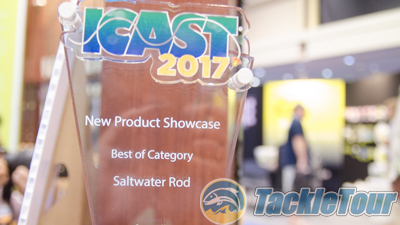 Jason Halfen was nice enough to walk us through St. Croix's exciting ICAST 2017 debuts. 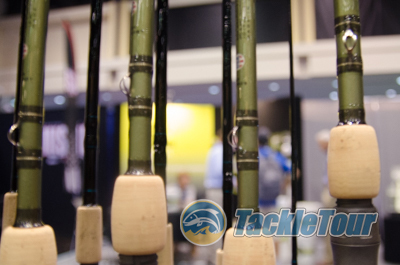 Conclusion: St. Croix is a company that not only cares about the performance and durability of their rods, but understands their product needs to appeal to a wide range of tastes and preferences. We applaud what we call their "X-Project" designs not only due to their outcomes but perhaps, more importantly, for how they illustrate the company's responsiveness to market needs and trends. The new Legend X series has just enough aggressive design with the new blank color and split rear grip design while still maintaining that higher end mystique. 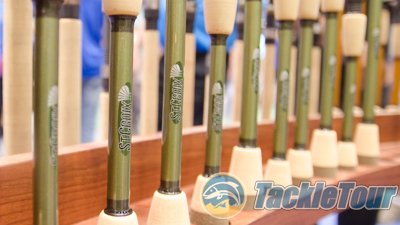 We look forward to getting some of these models out on the water to see how they fish!